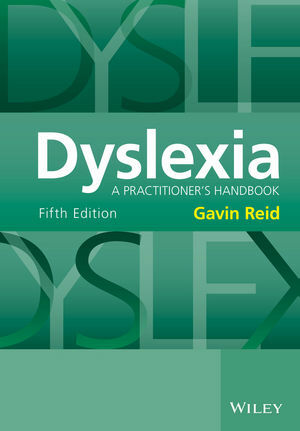 Newly updated, Gavin Reid’s best-selling handbook remains an essential resource for those helping dyslexic individuals of all ages, from preschoolers to adults in the workplace. Gavin Reid is an experienced teacher, psychologist and author, and the owner/director of Dr Gavin Reid Education Consultants Ltd. He was formerly Senior Lecturer in the Department of Educational Studies at the University of Edinburgh, UK, and Visiting Professor in the Department of Education and Counseling Psychology and Special Education at the University of British Columbia in Vancouver, Canada. He is a director of the Red Rose School in Lancashire, UK, and a director of Global Educational Consultancies (GEC) based in Cairo, Egypt. He is chair of the BDA accreditation board, an ambassador for the Helen Arkell Dyslexia Centre and a consultant to Institute for Child Education and Psychology Europe (ICEPE). He is the author and editor of 27 books, and has lectured to thousands of parents and professionals in 70 countries. His work has been recognized with several educational awards, many of his books are used as course texts throughout the UK and in other countries, and they have been translated into Italian, French, Polish and Croatian.